Sponsorship is an associative marketing tool that creates mutual brand and business value for both the sponsor and the sponsored activity (ESA). 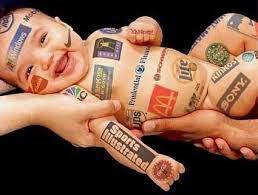 Sponsorship for sponsors is effective way to create desired images for consumers and for their marketing communication. For sport properties sponsorship is a traditional financing source. * Sport Sponsorship: Most large sports organizations and successful players depend on the income and support of their sponsors. Many could not survive without this type of partnership. And it works both ways. Businesses like to be associated with sports clubs and players. It helps build their reputation within the community, generates goodwill and can be considered as a cost-effective alternative to traditional advertising. * Non-sports Sponsorship: A company may sponsor a group or organization by becoming a financial sponsor. A financial sponsor pays a set amount of money in exchange for benefits outlined in a sponsorship agreement. Benefits may include an opportunity to promote the company to the sponsored organization’s membership or audience; an advertisement or mention in official programs, newsletters or press releases; or signage or logos on promotional materials. * Sponsorship to NGO: While more and more businesses are partnering up with non-profits because of the broad range of benefits for both parties, companies are starting to steer away from the use of the word “charity” when describing the relationship. And non-profits can look forward to more than just a regular donation. Partnering with NGO can help increasing the available pool of volunteers, visibility and legacy for the cause marketing. * Personal sponsorship or Endorsement is a means by which a player gets support directly from a sponsor, rather than relying on the prevalent team mentality. A personal sponsorship allows companies to invest directly into the player they want, rather than having their investment passed down through the ranks of team staff and other game divisions and players, yet teams are more likely to be able to represent a sponsor’s interests and needs. In some point of view, any sponsorship is good sponsorship. It means that any sort of cash inflow is good for the health of property’s finances. Nevertheless, adequacy of brand for the entity cannot be measured just by business concept or capital size. It needs to accompany with organization’s philosophy, value, and goals at same time. Hence, it needs to have a legal proof of the sponsor’s consent for sponsoring. Case of FCB and UNICEF was very innovative and creative business strategy in sport marketing and sponsorship history. It was breakthrough for brand image and financial achievement for FCB through globalization. UNICEF has the global authority to influence decision-makers, and the variety of partners at grassroots level to turn the most innovative ideas into reality. UNICEF was the real sponsor to FC Barcelona from that? In my opinion, UNICEF definitely is the best sponsor for FC Barcelona. UNICEF has over 90 percent recognition in most countries in the world. Moreover the brand identity & goodwill image create trust, love, compassion, and dignity to people. Any other organization or sport cub cannot produce these kinds of best brand image through their sponsorship. Sport sponsorship with a social conscience can promote the ultimate win-win. FC Barcelona-UNICEF deal was opening minds as to what football sponsorship could achieve. Before UNICEF Brand, FC Barcelona was just a Catalonia football club but after that FC Barcelona still keeps the world favorite football club with UNICEF brand as “more than a club”.